Everything Everywhere, the parent company of Orange and T-Mobile, is changing its name to EE, which will also be the name of the new consumer brand that is due to launch in the next few weeks. The network operator, formed from a merger between Orange and T-Mobile two years ago, unveiled the new brand at a press event in London’s Science Museum this morning. 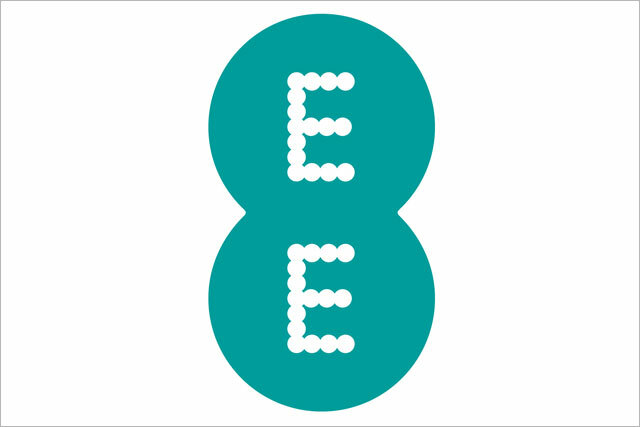 The two brands will continue to exist alongside the new EE brand, which will be for users wanting to access the company's new superfast 4G network as well as fibre optic broadband for the home. It will be positioned as the "new network for your digital life". The company will change its 700 Orange, T-Mobile and Everything Everywhere retail outlets to the new brand around the time the brand campaign launches. New customers will be able to sign up to EE, but will still be able still join Orange and T-Mobile. However Orange and T-Mobile will not have 4G services. The Everything Everywhere network name has also changed to EE and will appear for customers from today, when they register on the network. EE was recently given the green light by Ofcom to become the first mobile operator to launch a 4G service by using existing 1800Mhz spectrum, as early as today (11 September) though it will not roll out for another few weeks. EE will launch with exclusive handsets from Nokia, Huawei, HTC and Samsung. London will be the first city to receive 4G with another 15 cities to follow by the end of the year. EE will also offer fibre-optic home broadband. The timing of the brand launch campaign is officially under wraps but is believed to be planned for October, as revealed in Marketing in July. The campaign is being created by Saatchi & Saatchi, and is expected to be worth £100m and the biggest of its kind since O2 was unveiled 10 years ago. Speaking at the launch event, Olaf Swantee, chief executive of EE, said: "Today we share plans to build a new digital infrastructure for the UK." "This digital backbone of the UK is as important as the roads and railways". He said the company's closely guarded strategy was to revolutionise the communications industry, claiming "Networks are too slow to handle the needs of the modern digital age." Swantee alluded to the fact that it had had been reported that he had found the Everything Everywhere name "difficult", having once labelled it "silly" in an interview. He said the new company name is "shorter, snappier and easier to use" and had been used internally for a while. He said EE is "the most advanced digital communications company backed by the biggest, best and fastest network." "What we are doing is creating a new digital infrastructure to take the British into the 21 century." EE was forced to announce that it was to unveil a new brand after a claim it would drop the Orange and T-Mobile brands early next year, which the company denied. Ofcom’s decision was blasted by rival operators, with Vodafone saying its was "shocked", while O2 said it was "disappointed" and the decision that "undermines the competitive environment for 4G in the UK." There is a possibility that they could mount a legal challenge against Ofcom but neither revealed plans to do so when contacted by Marketing. Last week Ofcom issued a statement saying it is ready for any potential litigation and will "robustly" defend its position. "Allowing the early introduction of 4G services in the UK will deliver significant benefits to consumers," it said. The Mayor of London Boris Johnson attended the event, describing Swantee's speech as "evangelical" and likening a demonstration of EE's "floating logo" to a pollen count image.